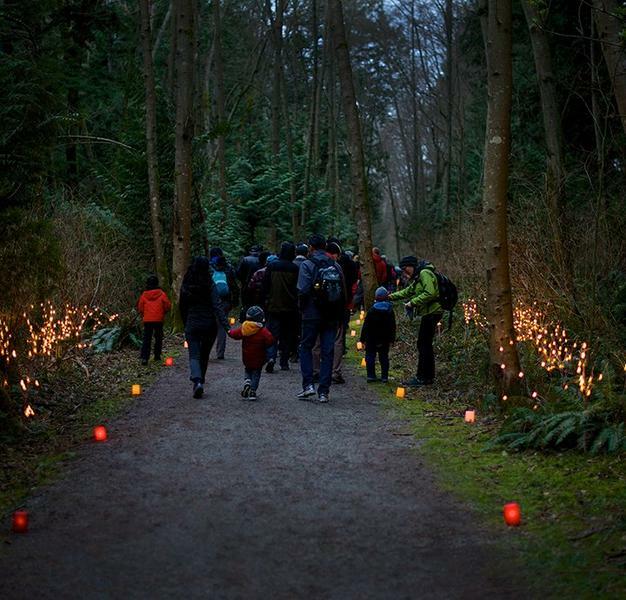 On Saturday, March 23 from 7:00 to 9:30 p.m., the Pacific Spirit Park Society is hosting Night Quest — an illuminated nature walk through Pacific Spirit Park at night. The event will feature two kilometres of lantern-lit trails that are both wheelchair and stroller accessible. People of all ages are welcome, though no pets are allowed. The event entrance is at the Park Centre on 16th Avenue — 400 meters west of Blanca Street. The walk is expected to take 1.5 hours so plan accordingly. It is also advised that you bring your own flashlight or lantern and a mug for any cash-only concessions you may choose to purchase. The event is an excellent opportunity to enjoy a casual night time nature walk and observe the sounds of animals you wouldn’t normally hear.